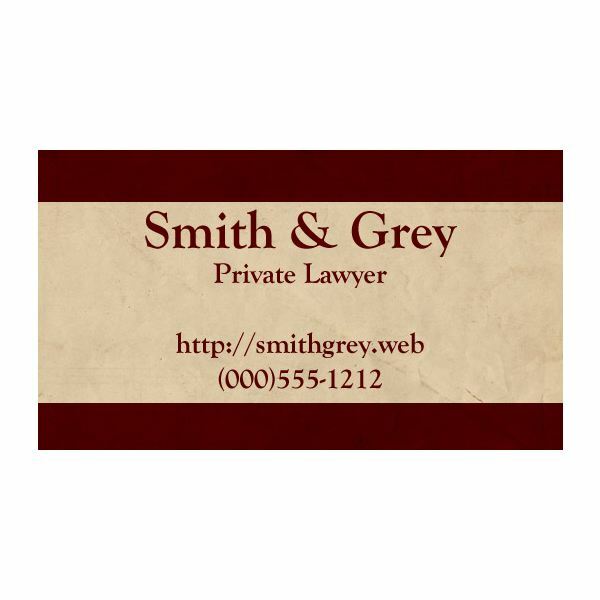 When it comes to lawyers, the color scheme of a business card will need to be professional as well as pleasing to the eye. Of course, you want your card to stand out compared to all the plain white cards exchanged on a regular basis, but you don't want your card to stick out in a gaudy way. A fantastic way to do this is to use rich colors, such as crimson reds, navy blues, forest greens and royal purples. Adding in creams and other muted off-white colors is a good way to soften the look of the card for a more traditional feel, much like the example to the right. 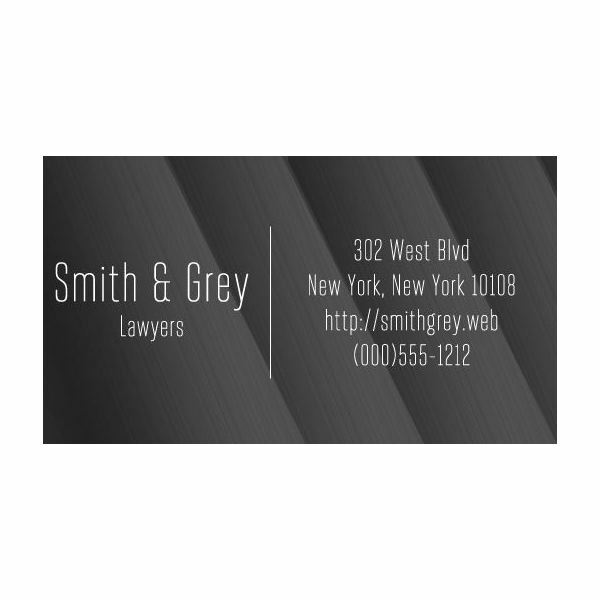 However, whites, blacks and grays can be used for more modern feeling business cards for lawyers if you would prefer. If you need a little help trying to figure out your color scheme check out this article on Free Online Color Scheme Designers – they're sure to help you get started. Fonts are absolutely critical when it comes to any business card, and business cards for lawyers are no different. 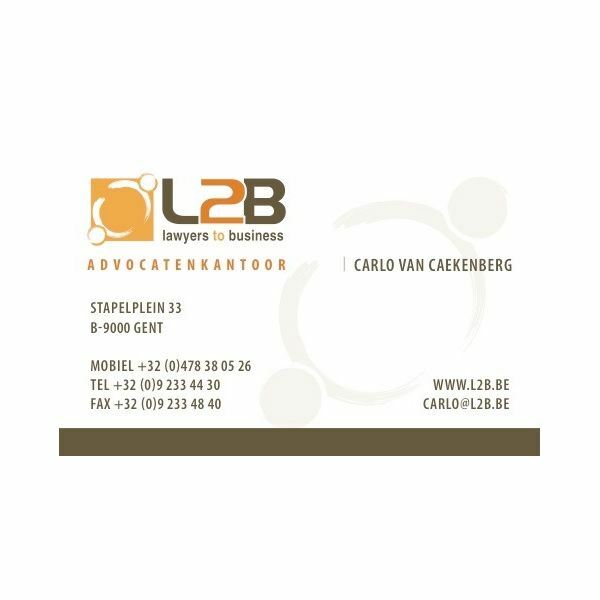 What makes an appropriate font for a lawyer's business card? The main point is that you're going to want to pick a font that looks professional, and this can be done with one of two fonts. Picking a serif font, such as Times New Roman or Baskerville gives a traditional feel to the business card and looks nice with more traditional designs. However, if you're going for a more modern feel, a sleek, narrow font can give a great sense of no-nonsense professionalism. The example to the left shows a modern gray business card with a sleek font that fits in well with the overall design. If you can't decide on a font, check out Free Fonts for Professionals. It includes some great free fonts that are sure to help you design a great card. If you're planning on using imagery on your business card, realize that there are a few things that are associated with the practice of law. A book or a stack of books is a classic choice that will fit in well with a lot of designs. Scales, as well as Lady Justice, are also great choices when it comes to graphics for your business card. However, you can still design a professional looking business card without having to worry about imagery. It is important to focus on things like fonts, color scheme and overall design before you need to begin worrying about images. Though, if you have a logo, it is not a bad idea to include that within your design. After all, if you are promoted on TV or signage with your logo, it will help people to associate your business card with what they might already know about you from other media. The card to the right showcases how professional a logo can make a card look. All information provided by Amber Neely, based on her experience in graphic design.